Nicholas Baker Swearer, a “hands-on” sculptor, works primarily with cast and fabricated metals in his studio/foundry located in Northeastern Connecticut. His metal work takes on a broad range of expressions, from fantastical to social narrations using human or animal characters. 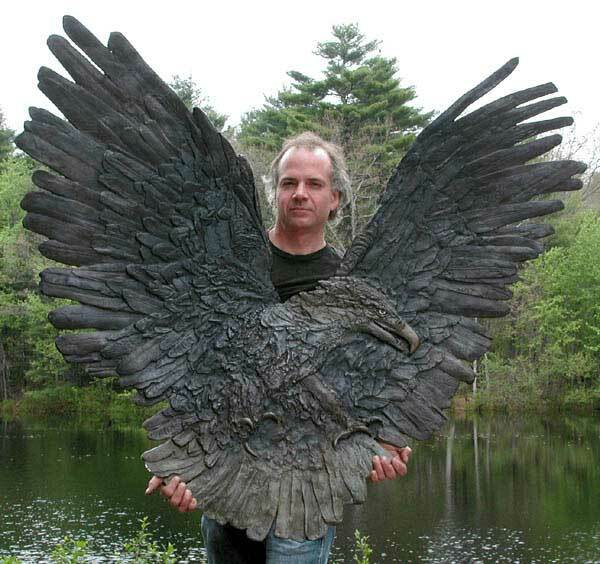 He is to a large extent a self-taught sculptor. 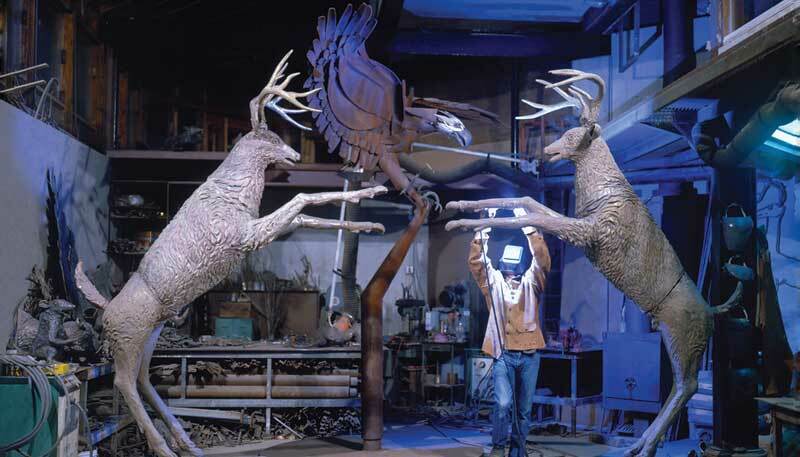 His first welded bird sculpture was created at the age of 11. 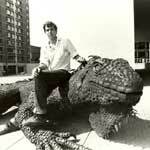 In his mid-teens, he spent four years creating a 40 foot long iguana from 12,500 railroad spike heads. 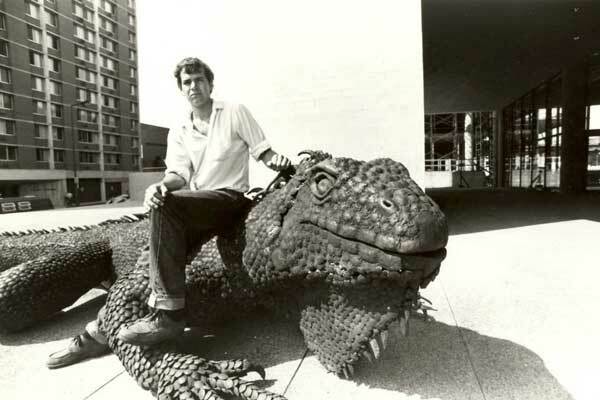 It has stood in front of the Science Museum of Minnesota for more than 35 years. At the age of 18, he was chosen as a U.S. representative to the International Arts Festival in Glasgow, Scotland. 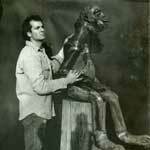 He has a liberal arts education and graduated with highest honors from Macalester College in 1979. As the son of a political scientist and an artist/educator, and married to a neuropsychologist, his work takes a broad look at the world. He expresses himself in ways that provoke thought. He believes that art is a language that can be used to express and explore a variety of human conditions from playful humor to social commentary. 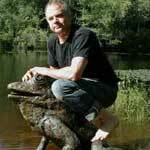 As a teacher, he is committed to sharing the creative process and excite others about art. 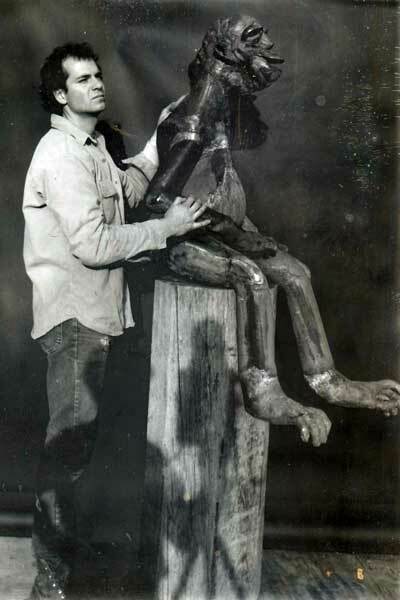 He has created many large-scale sculptures with groups of students during artist-in-residencies. He believes that it is not just the idea behind a work of art but the process of creating or refining the idea that broadens our visual world. 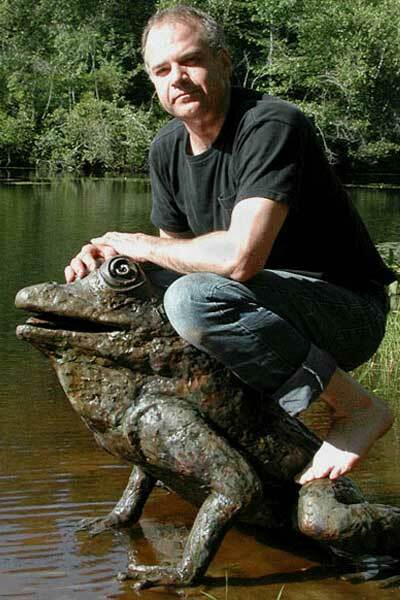 He is an award winning sculptor and his work can be found in public and private collections throughout the country and abroad. His work has garnered much media attention including reviews in The New York Times, Providence Journal, Worcester Telegram & Gazette, and International Daily Herald, as well as numerous television appearances including local stations in Connecticut, Massachusetts, and Minnesota; and national CNBC and Good Morning America. Nicholas Swearer’s sculptures depict social conditions in a casual but didactic manner, inviting observation and engagement from the viewer. And it is his intention that this engagement and dialogue, in turn, exposes the observer’s own ideals, prejudices and predilections.